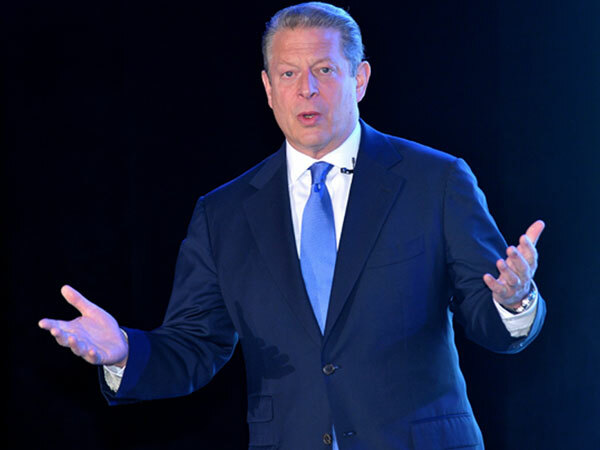 It hasn't been a good month for former Vice President Al Gore, who recently announced his separation from his wife of 40 years, Tipper. Now Gore is being accused of sexual assault by a Portland massage therapist, reports the Portland Oregonian. In a detailed statement given to a Portland sexual assault investigator in January 2009, the unidentified woman, 54, said she was called by her employer to the upscale Hotel Lucia around 10:30 PM on October 24, 2006, to provide a massage for Mr. Gore, who was allegedly registered under the name "Mr. Stone." Once inside his suite, "He pleaded, groped me, grabbed me, engulfed me in embrace, tongue kissed me, massaged me, and grabbed my breasts," the woman said in her complaint. See the police report HERE. She claims to have kept the clothes she wore the night of the alleged incident after discovering stains and also informed two friends, but Portland police didn't obtain the evidence or interview anyone at the hotel. The Multnomah County District Attorney's Office in Portland confirmed Wednesday that the woman reported the alleged incident in 2006, and the prosecutor's office was briefed by the Portland Police Bureau twice, once in late 2006 and in January 2009. "We were told the woman was not willing to be interviewed by the Portland Police Bureau and did not want a criminal investigation to proceed," Multnomah County D.A. Michael Schrunk said. The woman ended up selling her story to the National Enquirer for a reported $1 million. A Gore family spokesperson old "Extra" "The Gores have no comment on the report."